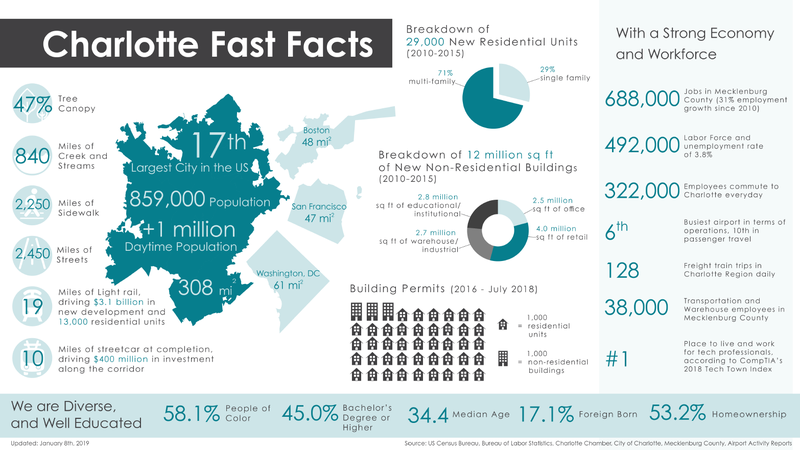 How does Pridemore Prepare for Charlotte's 2019 real estate market? It begins with a mindset. One of the things we like most about the real estate business is the opportunity it creates to be of service to others; that’s a joy that’s echoed by every agent here at Pridemore Properties. We are excited that there are so many ways dedication to service is manifested daily by our team of experienced, talented professionals. Whether its sharing of knowledge, connecting people to resources, or stepping clients through the home buying or selling process in a way that frees them to focus on what’s most important to them, our Pridemore team is of like-mind when it comes to providing a remarkable level of service. We stay tuned in to future plans for Charlotte. What is the future of public transportation in Charlotte? How might that impact property values? What kind of changes can we expect with regards to housing, especially the need for more affordable housing? How is the community engaged in the planning and decision process? Is anyone thinking forward about diversification of business and industry, and what are the trends in Charlotte’s economic development? Home is where the heart is, and for us it’s the Queen City. It’s been said that native Charlotteans are few and far between, but when Garet asked our group to identify themselves, surprise! Nearly half the hands in the room went up. For some reason, Pridemore has attracted an unusually large group of people born and raised here, people who care deeply about the evolution of this city and can “remember when,” back in the 1980s when the city first began to wonder how to address issues that come with an extremely rapid increase in population. In the spirit of continuous learning, our agents received books--The Go Giver by Bob Burg and John David Mann, a parable about business and life, and The Energy Bus by Jon Gordan. We’ve also kicked off a book club for 2019, with The 10X Rule by Grant Cardone in the queue for first quarter reading. Good books bring us not only new ideas, but a big dose of positive energy. 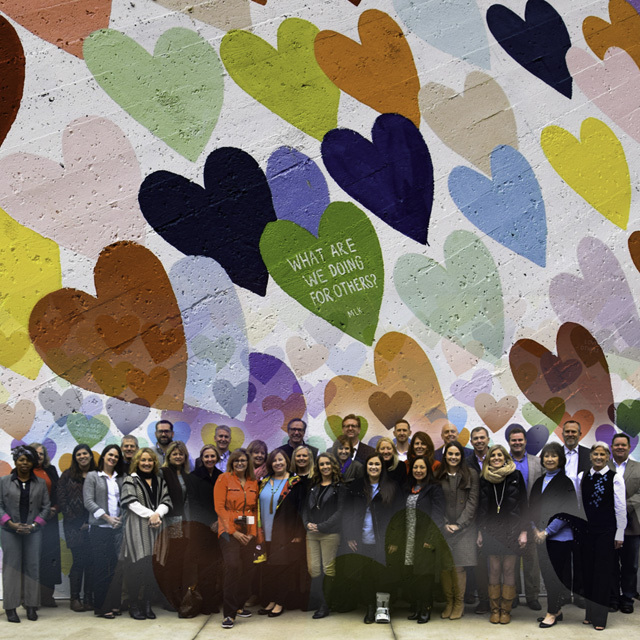 Speaking of energy…we are happy to share with you a peek into a celebratory moment of our 2019 Kickoff meeting: a group field trip to Charlotte’s newest Instagram hot spot, the Confetti Heart Wall. We resonated with the messages sprinkled within the mural’s colorful collection of falling hearts.